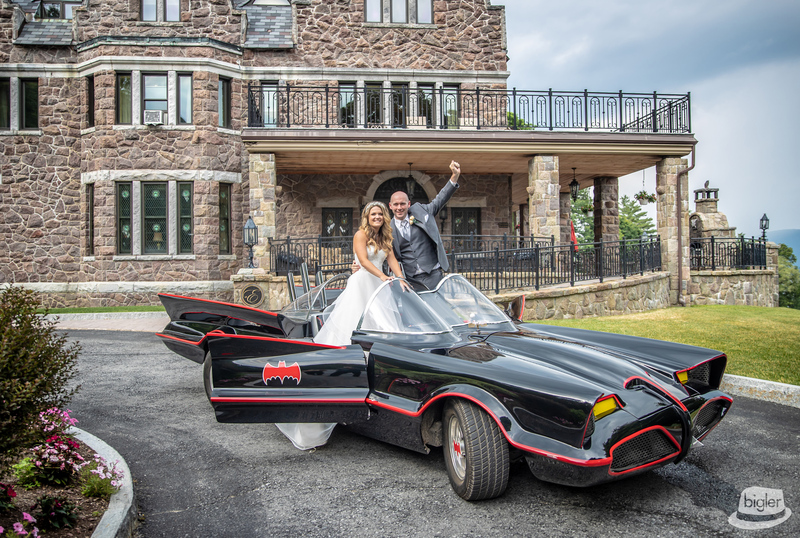 Our Bigler Weddings team had such a great day with this insanely fun couple! 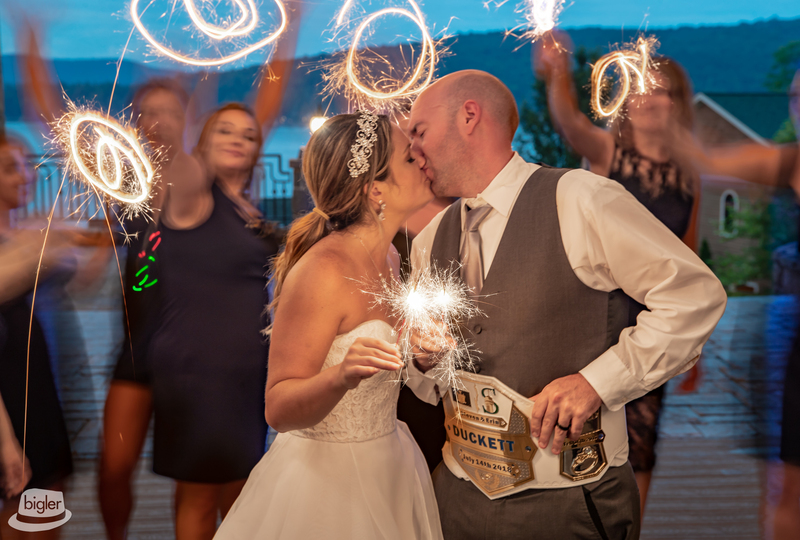 We knew we were in for a “slam dunk” of a wedding when we found out the proposal took place, center court during a Siena Game, after Erin made a half-court shot!! 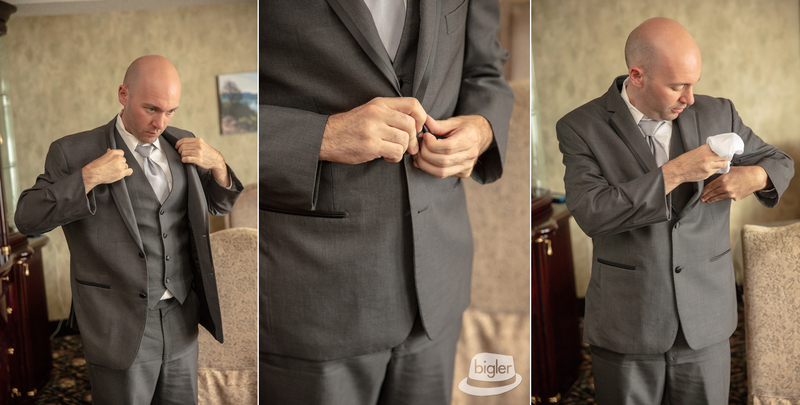 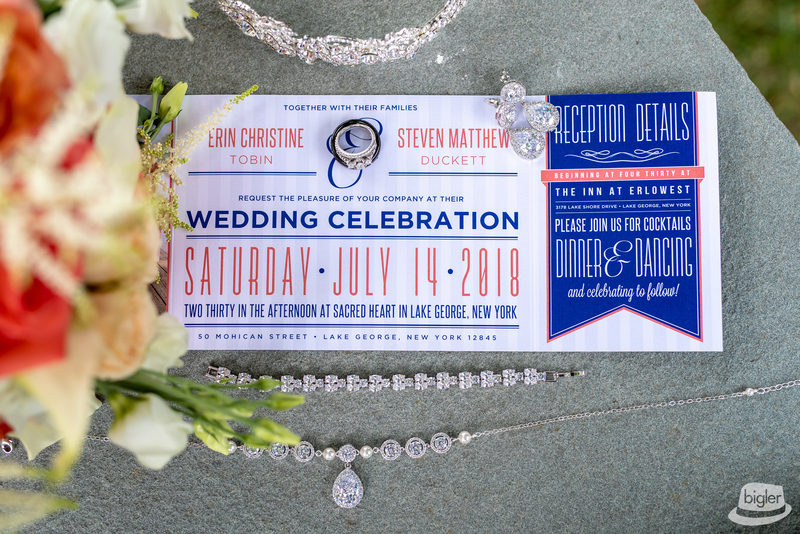 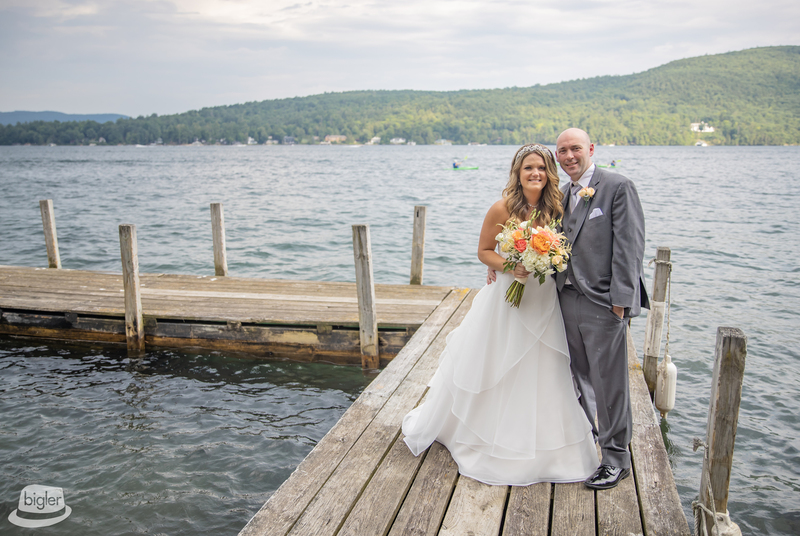 Fast forward as the wedding day began with Erin and Steve getting ready at the gorgeous The Inn at Erlowest in Lake George, NY! 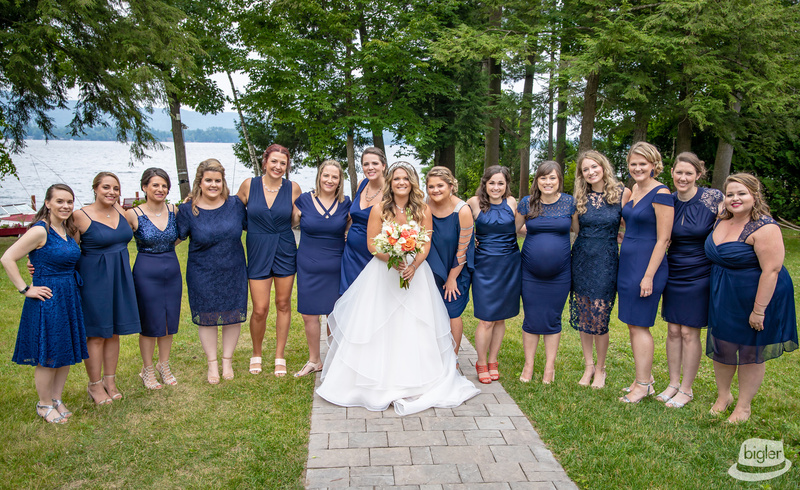 Makeup artists Colleen Kennedy and Nicole Welch accentuated the natural beauty of our bride and her ladies as the team from Haven Hair Studio created curls and up-do’s galore! 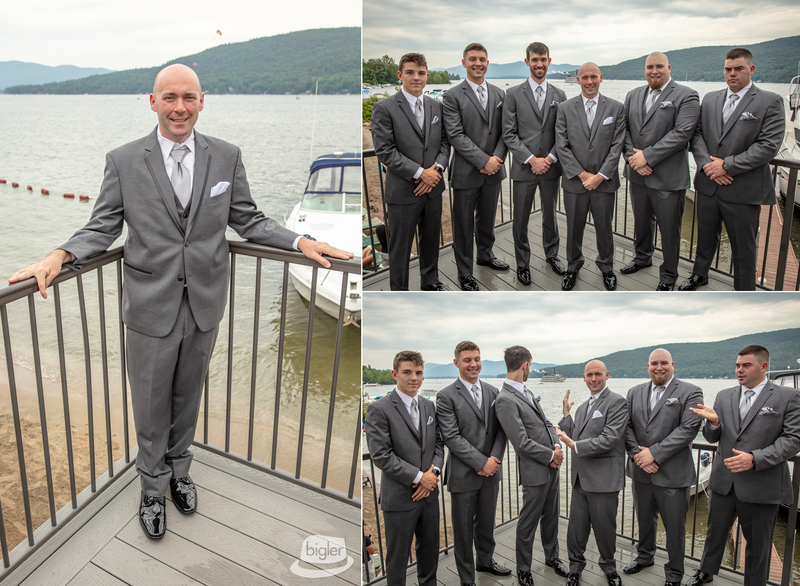 Both Erin and Steve enjoyed some fun photos by the lake with their bridesmaids and groomsmen before Erin stepped into her beautiful gown from Angela’s Bridal. 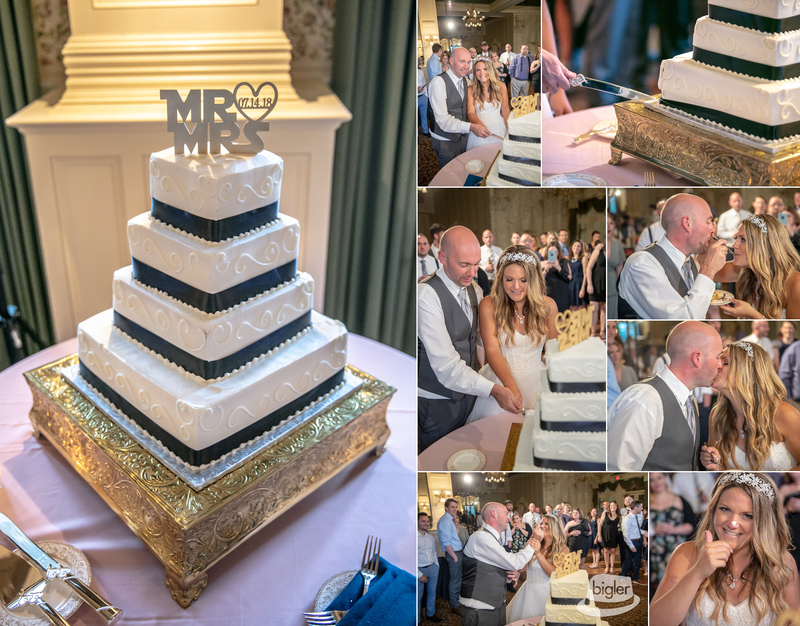 Florals from Florist: A Touch of an Angel Florist arrived as Erin and Steve were swept away to Sacred Heart church for their ceremony. 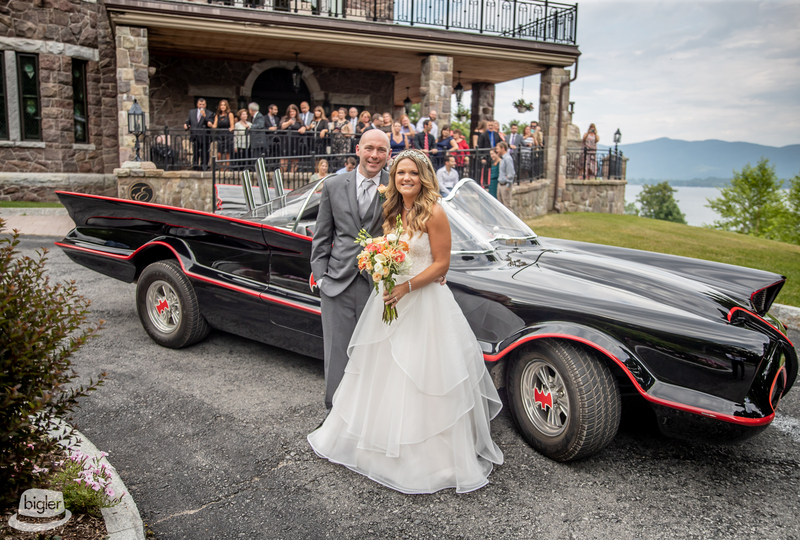 Just when we thought they couldn’t get any cooler…The Batmobile arrived to take the newlywed couple to their reception back at The Inn at Erlowest. 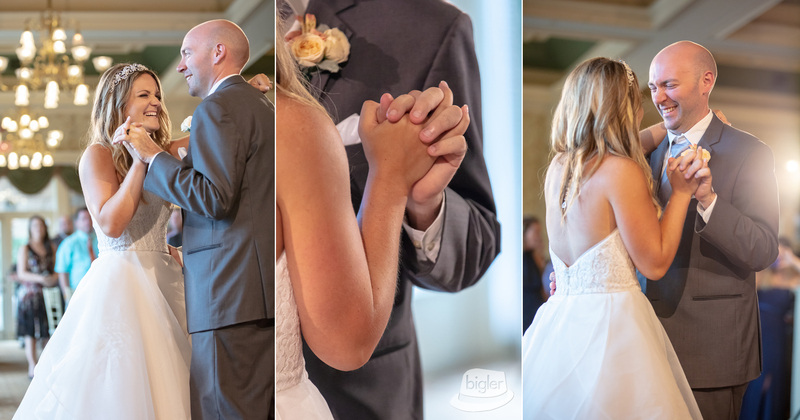 As always, the Piano Man DJ crew did their thing and had the party bumping with happy people, lots of love, and awesome dance moves till the wee hours of the night!